Although The Lones Group was incorporated in its current structure in 2001, founder Denise Lones has been providing branding, coaching and education for real estate agents and brokers for over two decades. An entrepreneur at heart, with a "contrarian" sensibility, Denise learned long ago that following the herd didn't necessarily lead to success. The company as it exists today is a natural outgrowth of Denise's passion for improving the lives of clients. Our team is extraordinary in the levels of experience, enthusiasm, and expertise they bring to the table. We offer an integrated approach, supplementing branding, live education, special events, and coaching with a wide array of tools and systems to help each client maximize their unique skills and opportunities. 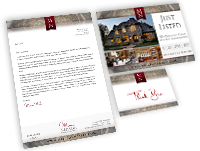 It's been our privilege to have worked with some of the finest real estate agents, owners, brokers, builders, and affiliated industry partners around. Our work inspires and challenges us each and every day. We wouldn't have it any other way! The bottom line? We have the resources and expertise to deliver the results you're looking for. As you spend time on our site we know you'll find solutions to the challenges you are facing. If you're the kind of person who really doesn't enjoy surfing online, simply give us a call at 360-527-8904 and we'll help you get started. You can also email us at solutions@thelonesgroup.com. From design services to education to consulting, we are the secret behind successful businesses. Our technical skills and savvy - coupled with our real world experience - are exactly what you need to help you reach your goals.